Forgotten City - WELCOME TO KID DOMINO! 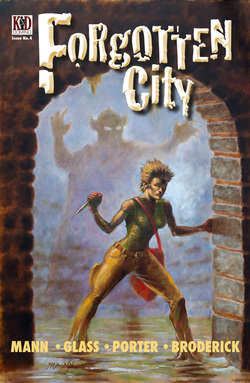 FORGOTTEN CITY, Kid Domino's original, multi-part, graphic novel adventure series, is a coming-of-age tale set in a hidden city ravaged by apocalypse. It follows two boys — Wilshire and Dirt ­— struggling to survive in the Outcaste’s tunnels, where they discover an even more dangerous way of life ruled by a secret society.